Join award winning authors, Kate DiCamillo and Dave Eggers for an exciting once-in-a-lifetime discussion. The two authors will keep you entertained as they discuss writing, current events, education, and life! An improv troupe will join Kate and Dave for a unique retelling of a Mid-Continent Oceanographic publication. Each attendee will leave the event with a signed copy of a book from each author. VIP: Join Kate and Dave for an intimate pre-party before the big show. You'll nosh on delicious appetizers and sip on wine and beer. Each guest receives a free drink ticket and the opportunity to mingle with Kate DiCamillo and Dave Eggers. The pre-party is from 6:30-7:30 PM. You will also get seating in the first few rows of the theater. Kate DiCamillo is one of America’s most beloved storytellers. She was the National Ambassador for Young People’s Literature and is a two-time Newbery Medalist. Born in Philadelphia, she grew up in Florida and now lives in Minneapolis, where she faithfully writes two pages a day, five days a week. Her books include Because of Winn-Dixie, Flora & Ulysses: The Illuminated Adventures, and The Tale of Despereaux. 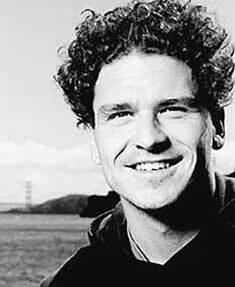 Dave Eggers is the author of ten books, including most recently Your Fathers, Where Are They? And the Prophets, Do They Live Forever?, The Circle, and A Hologram for the King, which was a finalist for the 2012 National Book Award. He is the founder of McSweeney’s, an independent publishing company based in San Francisco. Eggers is the co-founder of 826 National, a network of seven tutoring centers around the country. Mid-Continent Oceanographic Institute is a nonprofit that serves over 1,400 students in Minneapolis and Saint Paul. MOI is a chapter-in-development of Dave Eggers' 826 National. The organization is organization dedicated to supporting under-resourced students, ages 6 to 18, with their writing skills and homework, emphasizing cross-curricular creativity. MOI's services are structured around the understanding that great leaps in learning can happen with one-on-one attention, and that strong writing skills are fundamental to future success. All of MOI's programs are free of charge.